What an absolute cracker of a house we have here! Cute as a button with excellent presentation, full of sunlight and beautifully located in the middle of Fendalton with schools, shops, library and transport all very handy. A private and sheltered courtyard at the rear of the property provides a lovely space to unwind and has the benefit of being low maintenance. A small garden area is fully fenced and a separate single car garage completes this very tidy offering. 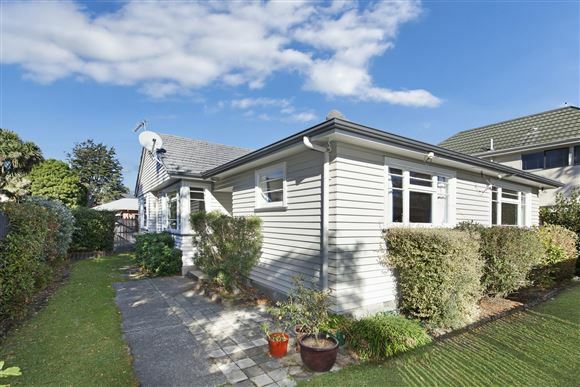 Fendalton Park is only a short stroll away and so are some of Christchurch's finest schools being Fendalton Primary, Cobham Intermediate, Christchurch Boys High School and Burnside High School. I couldn't recommend this property highly enough to any first home buyers and additionally to investors looking for a quality property with unquestionable ability to provide capital gains overtime. Independent Building Report available. Cash payment of $7495.81 to be transferred to the purchaser.